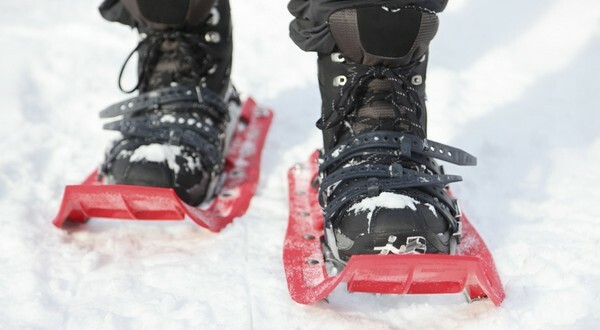 Snowshoeing, the activity which blossomed several eras back and has since then evolved through wood-frame shoes to aluminum-frame ones is fast turning out to be a coveted winter sport indulged by casual sport buffs who love catching the beauty of the miles long sun-streaked snowy oases. This is one of the most popular activities around Zermatt. The reason for the growing popularity of this sport can be attributed to its ease of learning, the least chance of accidents and injuries and their immense ability to burn as much as 600 calories in an hour. For those looking for some real treat of the eyes while staying in shape and sending their adrenaline high, here are some quick tips to help you make your maiden snowshoeing venture a pleasurable one. Dress Right: While you may be all enthusiastic to buy your snowshoes it is equally important to pick out the right clothing. Make sure you wear clothing in layers and cover every part of your body, except your eyes and part of your face to prevent exposure to the harsh and cold weather conditions. 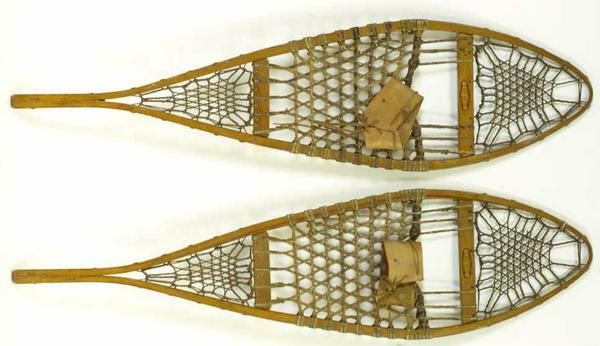 Snowshoes: Of course, this accounts for the most important part of it all. You do not need to splurge on your first pair of snowshoes which can be obtained at much cheaper rate through renting them, and you can rent snowshoes at many sports shops around Zermatt. The shoes need to fit your right and should not be too big for your feet which makes maneuvering them difficult. For first-timers Recreational snowshoes are the perfect choice, while those who have already mastered the sport can go for aerobic or hiking snowshoes which will be a better investment. If you are purchasing your snowshoes be sure to check out package deals which are often offered by retail stores and come with poles as well as a bag for snowshoeing. Whatever it be, do not leave behind your poles since they come handy in helping you in getting your way through the powdered terrains. Food and Water: Even though you are traveling amidst the cold temperatures, dehydration is still a very real danger when snowshoeing, as is exhaustion. It is therefore essential to keep yourself hydrated at all times and pack your bag with foodstuffs which can up your energy levels anytime you feel worn out. There are many snowshoeing trails in Zermatt. You can either go on a tour hosted usually hosted by hotels, or you could go on the 4 basic snowshoeing trails that Zermatt offers. On Nordwand Trail, you will be starting from Schwarzsee along the north wall of the Matterhorn and dreamlike landscape of the Stafelalp. From the restaurant Stafelalp you can walk back along the winter hiking path to Furi. The trails are marked every 100 meters with a pink pole so you don’t need a guide. The walk is approximately 6.7 kilometers and about an hour and 15 minute walk. The Challenge Trail starts from Gornergrat to Rotenboden. This trail is also marked every 100 meters with a pink pole and can be accessed without a guide. The walk is approximately 1.7 kilometers and about an hour walk. The Panorama Trail is an absolutely beautiful trail that starts from Rotenboden to Riffelberg. The trail is marked every 100 meters with a pink pole and can be accessed without a guide. The walk is approximately 2.5 kilometers and about an hour and 30 minutes walk. The White Magic Trail starts from hiking to intermediate section of Matterhorn Express from Schwarzsee paradise. From there you follow the pink poles that is marked every 100 meters until you reach the road to Furi. After turning right you will arrive in Furi shortly. You can access this area without a guide and the walk is approximately 3 kilometers and about an hour and 30 minutes walk. Finally, when going snowshoeing don’t forget to bring a camera along for taking a snapshot in time of your special experience!